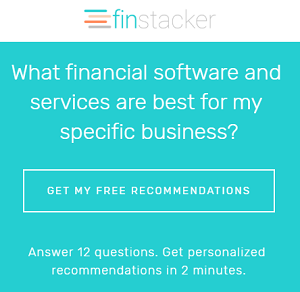 Want to Start Your Own Accounting Firm? Create Financial Projections First. BEFORE you leave your position at a large CPA firm and decide to jump out on your own and start your own accounting firm, create some financial projections with ProjectionHub and prove to yourself that this is a good financial decision. I have worked with a number of small accounting firms lately and realized just how difficult it is to operate a successful, small accounting firm. The challenge for a small CPA or accounting firm is that they big firms can offer excellent salaries and benefits for staff accountants. It is going to be almost impossible to match the compensation package for a staff accountant at a small firm that serves small businesses and individual tax payers. Right now it seems like most of the small accounting firms I know are really struggling to hire staff accountants. It is relatively easy for a CPA to put up their own shingle and start their own firm, and you might even be able to grow by adding a partner or 2 to the firm, but once you need to start hiring non-partner staff accountants the math becomes difficult. Larger firms have larger clients that they can charge a higher billable rate to, if your firm is working with smaller businesses and non high net worth individuals you won’t be able to charge as high of a billable rate per hour and it just becomes difficult to hire good talent. SO… in this blog post I am going to create an example set of financial projections for a startup accounting firm to demonstrate the likely financial results during the first 5 years of a startup accounting firm. 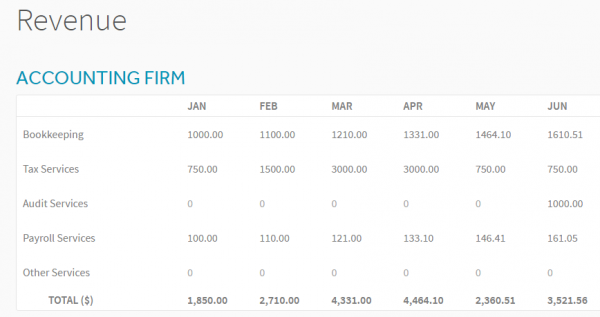 I am going to use the “Accounting Firm” business model on ProjectionHub to create a set of example financial projections for a startup accounting firm. Typically the lowest barrier to entry is to provide Bookkeeping and Tax Services, so in the 1st year of projections I would focus on those 2 services right from the get-go, then you can break into more specialty services like audit, payroll and other niche services. Here is an example of revenue projections for a startup accounting firm where you the accountant are the only employee for the first year. My example shows just $33,500 in revenue in the first year as you are ramping up. So if you are planning to leave a high paying job you should expect to take a significant pay cut in the short term. 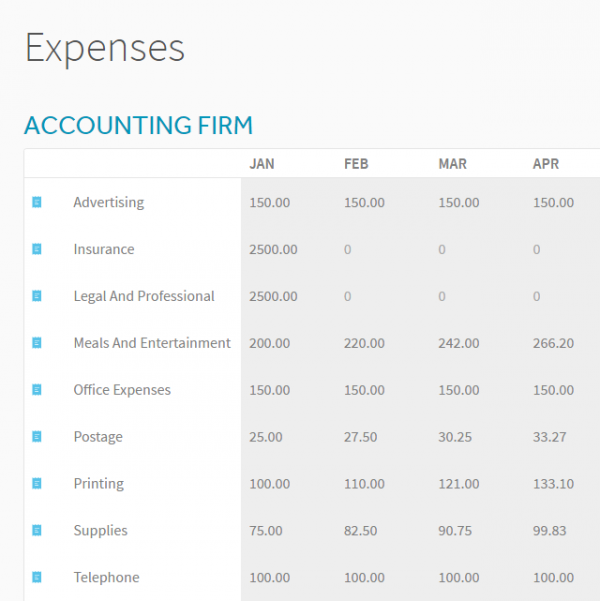 I have included typical expenses for a first year, 1 person accounting firm in the Accounting Firm business model. The final 3 sections of your financial projections will include assets, liabilities and investors. As a 1 person, new accounting firm, all 3 sections should be pretty light. I have included a computer and some furniture as assets for the default accounting firm startup, and a small loan. I doubt that you will find any investors as an accounting firm is not typically a high growth, “investable” type of business. So based on my example projections I show a first year, 1 person accounting firm bringing in about $33,500 in revenue and just under $20,000 in net income before paying yourself. SO… if you are making more than $20,000 as an accountant today, before you jump out on your own, just be very aware of the challenge you have in front of you and go in with eyes wide open.